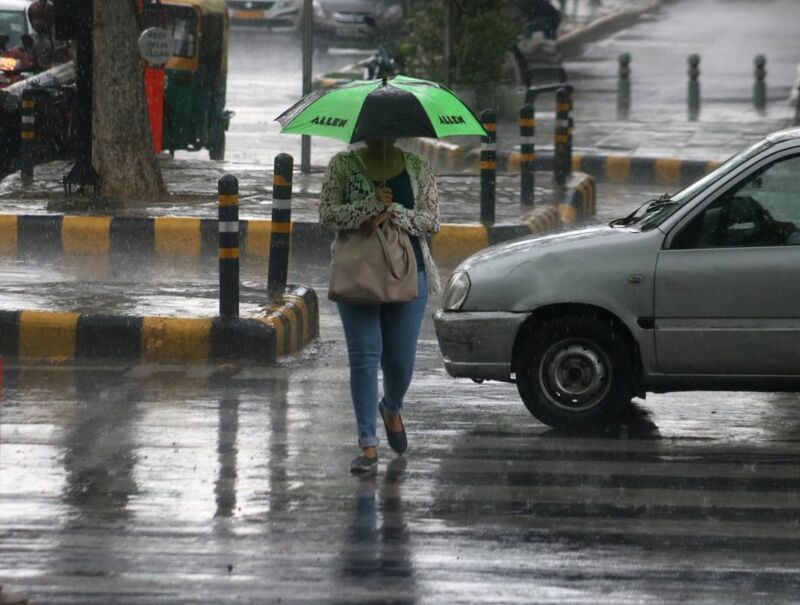 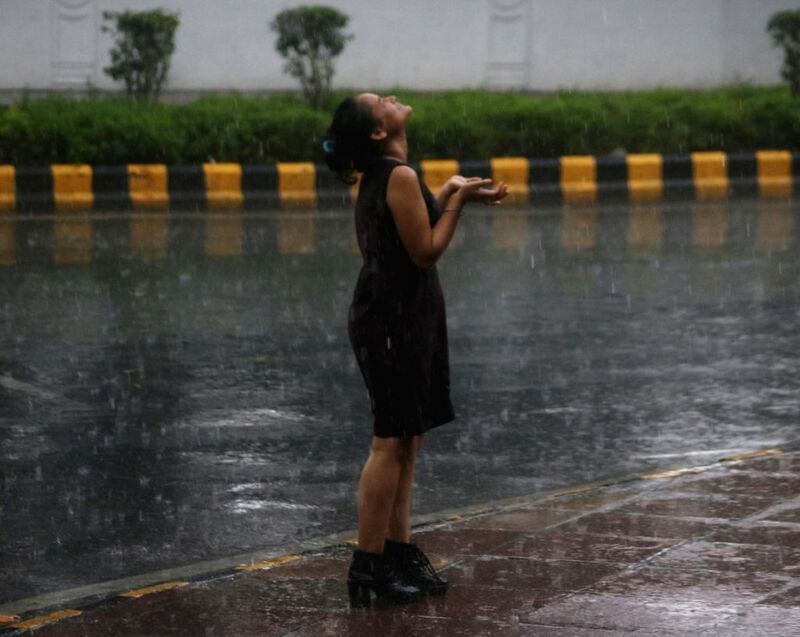 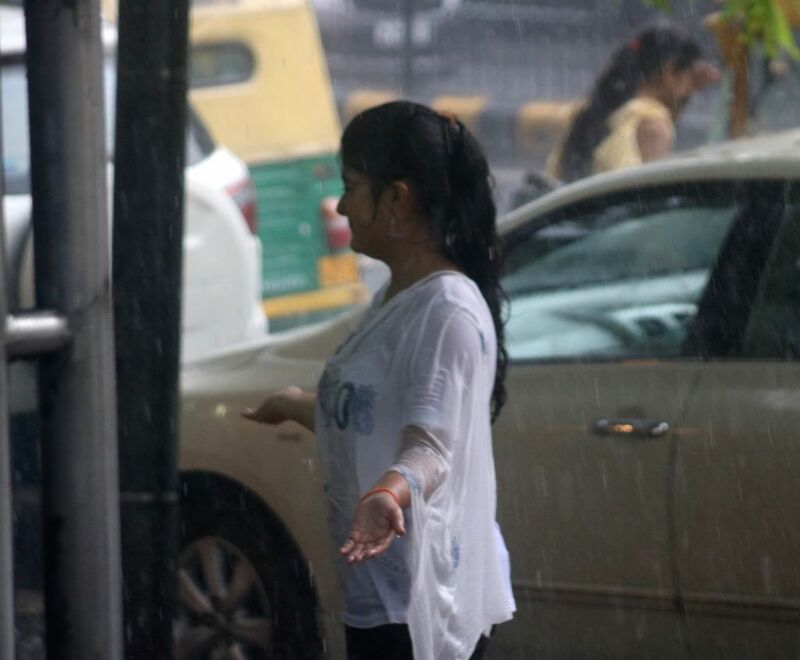 New Delhi: A girl enjoys during rains, in New Delhi on July 16, 2018. 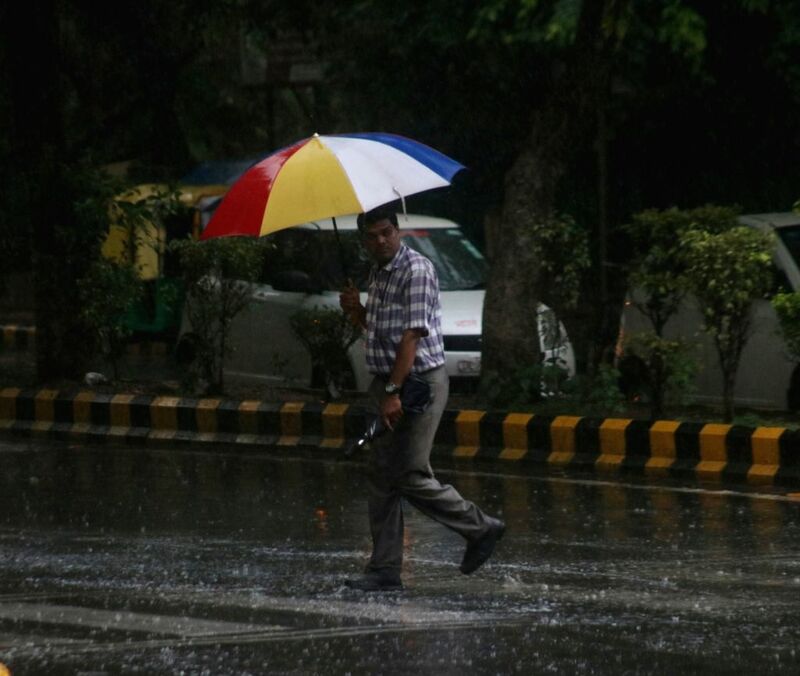 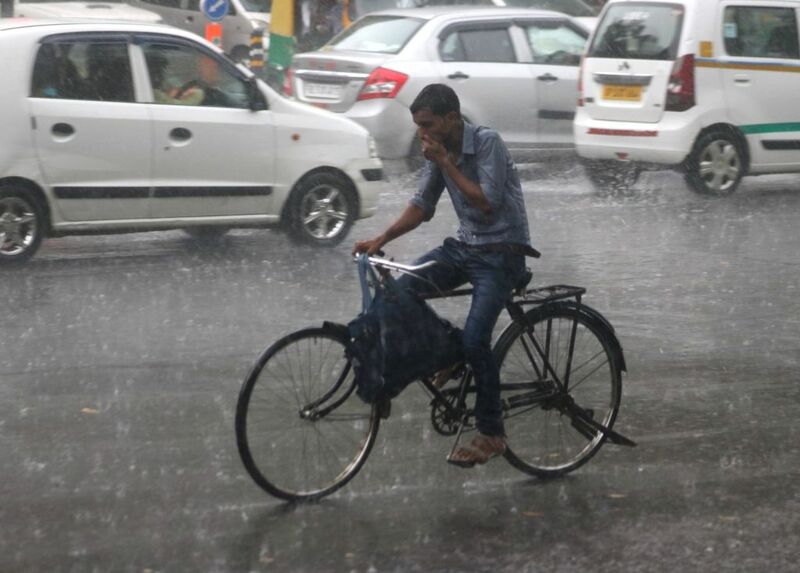 A man shields himself with an umbrella as rains lash Delhi on July 16, 2018. 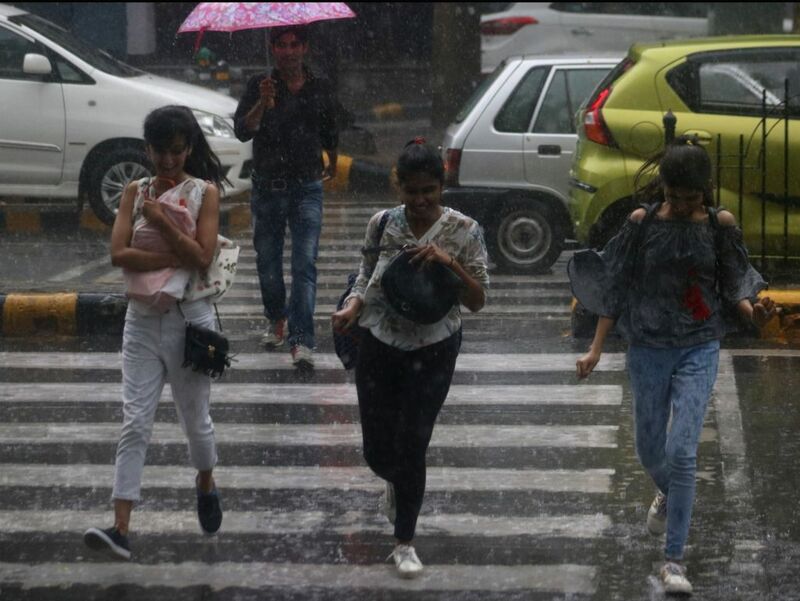 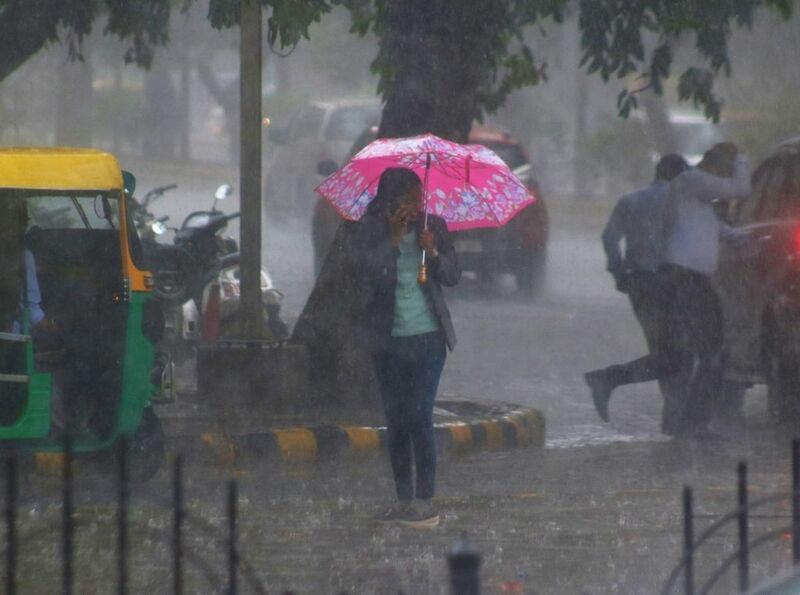 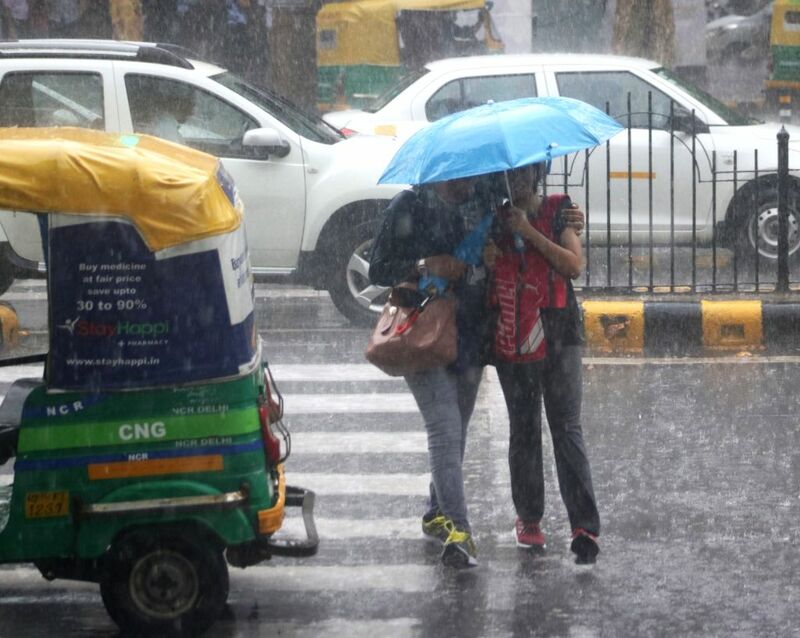 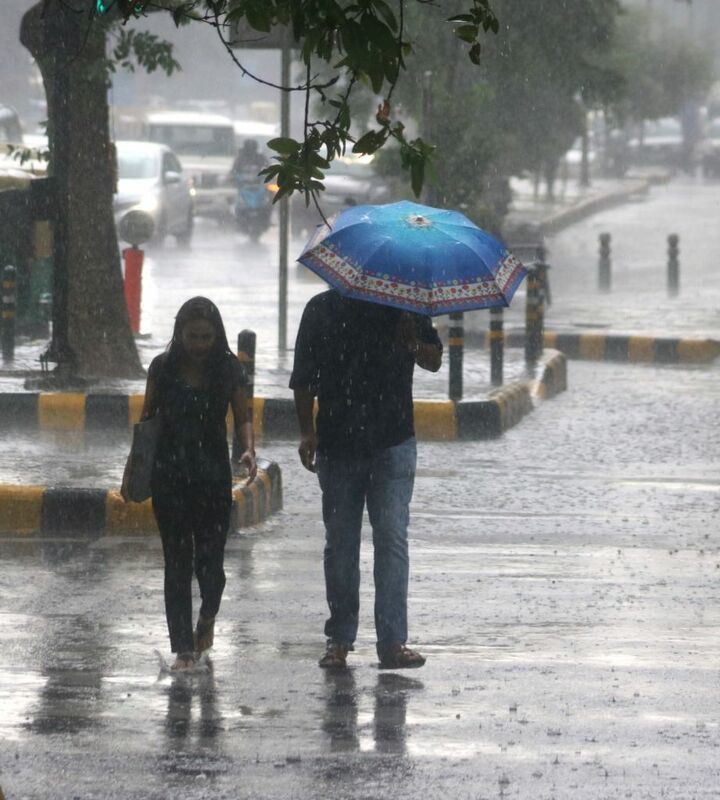 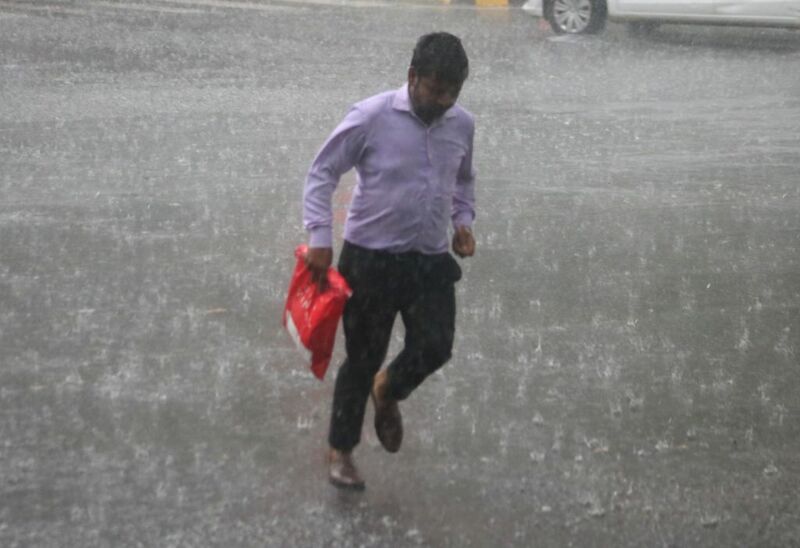 Rains lash New Delhi on July 16, 2018.